For about 10 years following the fall of Saigon in April 1975, Arlington, Virginia became a destination for Vietnamese immigrants fleeing communist rule. 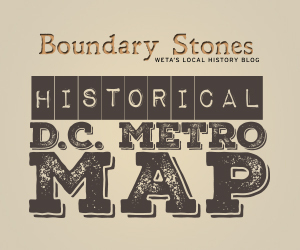 Attracted by the proximity to the nation's capital and the Pentagon, thousands of Vietnamese settled in the area and many opened shops and restaurants along Wilson Blvd near the then-under construction Clarendon Metro station. The area gave the immigrants a sense of home and belonging in their new country -- a place where they could connect with friends members and enjoy familiar foods, styles and customs -- and gave native Arlingtonians a taste of a new culture. Then, almost as quickly as it had developed, Little Saigon, faded away. When the Metro construction was finished, the Ballston-Rossyln corridor began to be redeveloped. Landlords raised rents and most of the Vietnamese shopkeepers were forced to close their businesses or relocate. (Many went to Eden Center in Falls Church, which opened in the early 1980s.) Today there are only a few Vietnamese businesses left in Little Saigon, including community favorite, Nam Viet. As preservation writer Kim O'Connell shared with us, the topic is close to her heart because she is half Vietnamese. When she was growing up in suburban Maryland, her mom used to bring her to "Little Saigon" to shop and eat. Special thanks to the staff of Nam Viet for their help with the video, and to Michael Horsley, a local photographer who documented Arlington of the 1980s and granted us permission to use his work. His photographs are invaluable to telling the story. To see more of his images, check out his Hidden Arlington Virginia set on Flickr. NOTE: This post was originally written in advance of Kim O'Connell's May 2014 presentation to the Arlington Historical Society. As the Arlington Police Department celebrates its 75th anniversary, we look back at its past. When national gay rights leaders suggested a march on DC in 1973, local activitists leaders worried it could undermine progress they had made locally.